Christmas penguins! It’s the end of winter break, and the first chance I had to pick up my brushes in about two weeks. I actually started this one before the holiday vaguely based on this article on Slate and the amusing kerfuffle that followed. But really, who doesn’t love penguins? 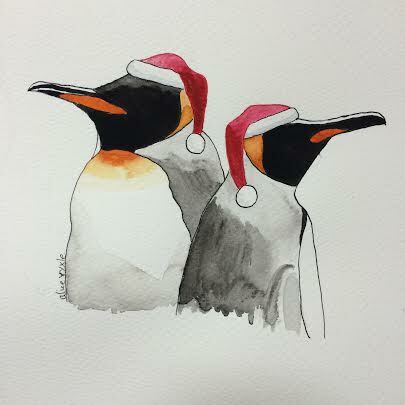 This entry was posted in Art and tagged christmas, christmas penguins, cute, fox news, my art, penguin, penguins, slate, watercolor, watercolour. Bookmark the permalink.